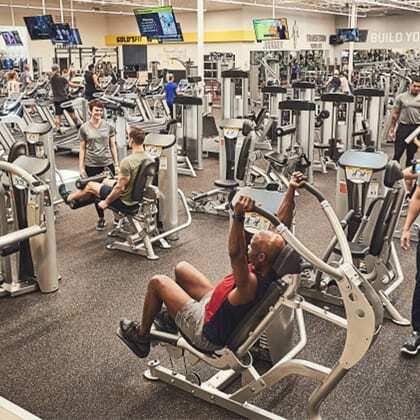 Best Gyms in Richmond VA | Gold's GymGold’s Gym Richmond – Gyms in Richmond VA for your fitness lifestyle. 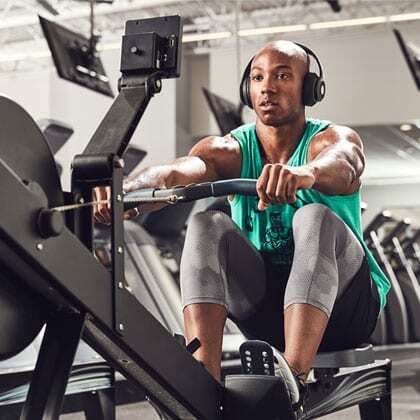 You can focus on your workout when you're at our Richmond gyms, because we take worry out of the equation. Our onsite childcare services means that your children are nearby, supervised, and having fun! Our Kids Club is a separate area of the gym that is clean, secure, and filled with activities. Group fitness at our gyms in Richmond provide workouts that range from low impact to high intensity. Our daily schedules feature classes for heart pumping, strength building, muscle toning, mind relaxing, dancing fun! 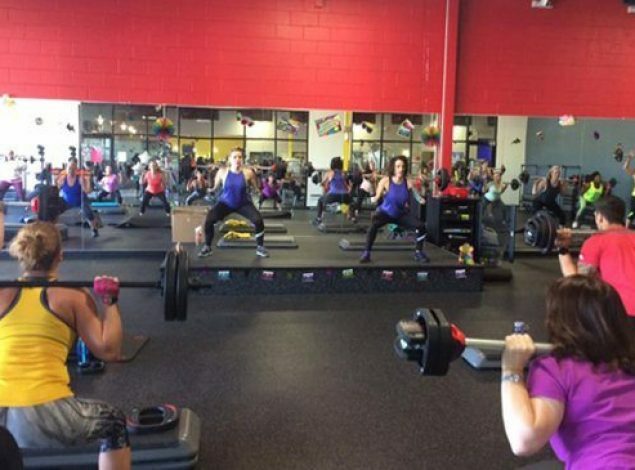 Find the Gold's Gym nearest you and try out your favorite classes today! Cycling combines cardio training and aerobics to burn calories, tone muscles, and build endurance. 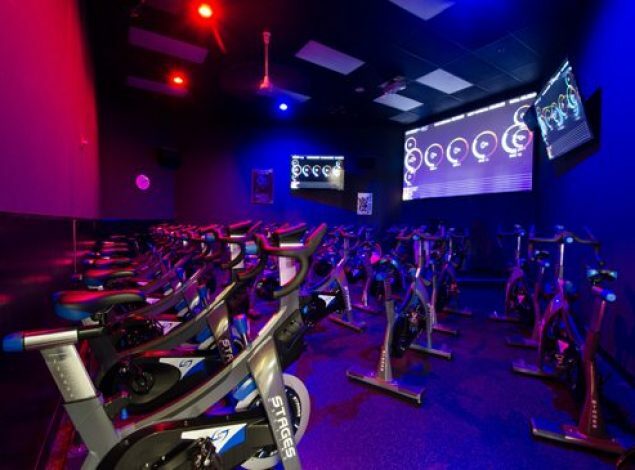 Group cycling at our Richmond gyms include high intensity Les Mills classes like Sprint and RPM. Pedal to the powerful music as you travel over hills, across flats, and up to the mountain peaks. And it's all indoors! 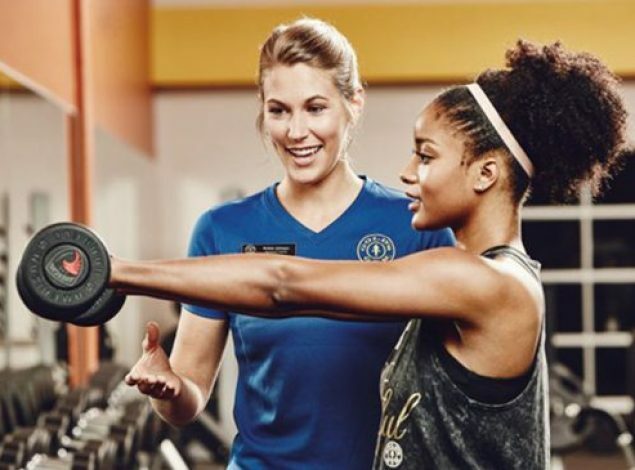 Gold's Gym offers training options for every member and every goal. 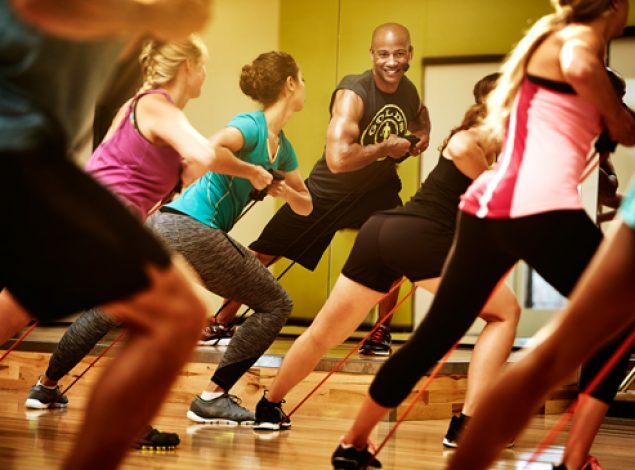 Our certified trainers will help you maximize your fitness potential, whether through one-on-one coaching or in small group training with limited class sizes. Achieve your goals in an encouraging environment that is dedicated to your success. Catch up on new release movies while you walk, run, or pedal your way to cardio fitness. 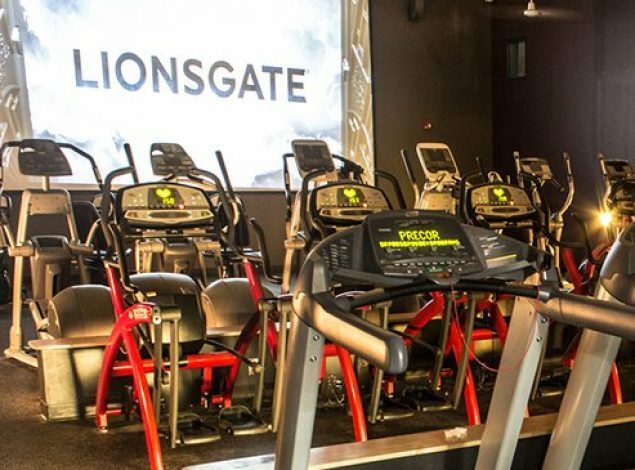 With big screens and surround sound, the Cardio Cinemas at our Richmond gyms provide the perfect distraction while you rev your metabolism and burn calories. Many of our Richmond gym locations feature a women's only gym, an area that is tucked away from the co-ed areas of the health club. Cardio, strength, and functional training equipment are available for private exercise for ladies only! 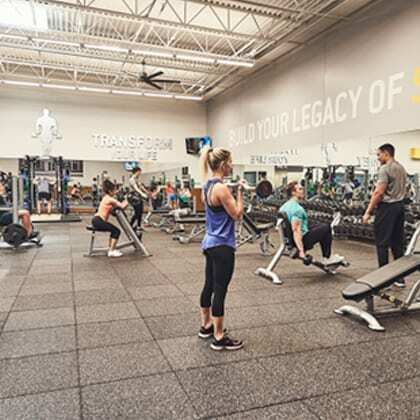 With 7 locations in the Richmond area, Gold’s Gyms are conveniently located and open extended hours so you can get your workout in early in the morning or late in the evening, seven days a week. 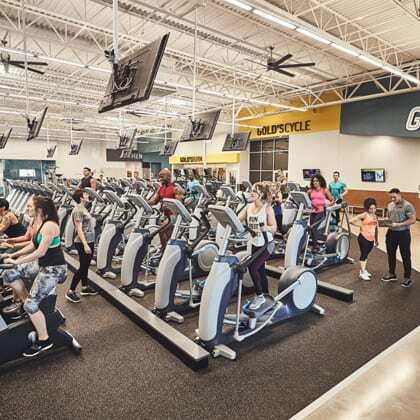 We invite you to visit any or all of our Richmond area Gold’s Gym locations, and see for yourself why 3 million members across the planet have made Gold’s Gym an essential part of their health and fitness plans -- and why Gold’s Gym has been voted Best Gym in Richmond’s Style Weekly for 7 years in a row! Start working out today and see a real fitness evolution take place! Travel terrain and feel the beat as your instructor challenges you to pedal past your limits. Les Mills RPM takes you on the ride of your life on our indoor cycles. Are you up for it? Try a cycling class at one of our gyms in Richmond. Yoga group classes at our gyms in Richmond will take you to a place of strength and restoration. Certified instructors provide targeted movements and focused breathing for improved strength, balance, and flexibility. Dance to salsa, merengue, and cha-cha beats to improve metabolism. burn calories, and tone muscles. A Zumba aerobic workout is a great weight loss solution too. Check the class schedules at our Richmond gyms!